Greenwich Market in London is one of the best places to find unique items, works of art, rare collectables and many other interesting crafted products. 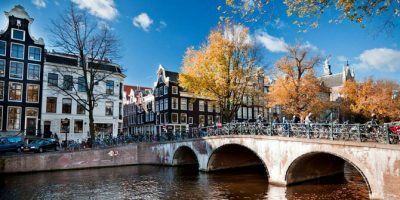 It has a rich and long history and is listed as a World Heritage Site by UNESCO, and there are more than a few reasons why it is well worth a visit. Once an ancient village, Greenwich, located on the banks of Thames, was a Royal Charter Market in the 18th century, so this market was established quite a long time ago. It was governed by the Greenwich Hospital since then, and as the hospital building (now the Old Royal Navy College) was standing out from the “cheap” looking market, officials decided to invest and make it more appealing. The commissioners of Greenwich Hospital then spent a significant amount to move and rebuild the market, however, they’ve had the right to collect the rent from the traders. This was happening in the mid-19th century, when the Parliament enabled the hospital to regulate and manage the markets. In the beginning of 20th century, the wooden roof was in dangerously bad shape, and the officials replaced it with the current steel roof construction. At this time, the market was stacked with stables and slaughterhouses, as horse and cattle trade thrived, but after the World War I the supply of these merchandise declined dramatically. 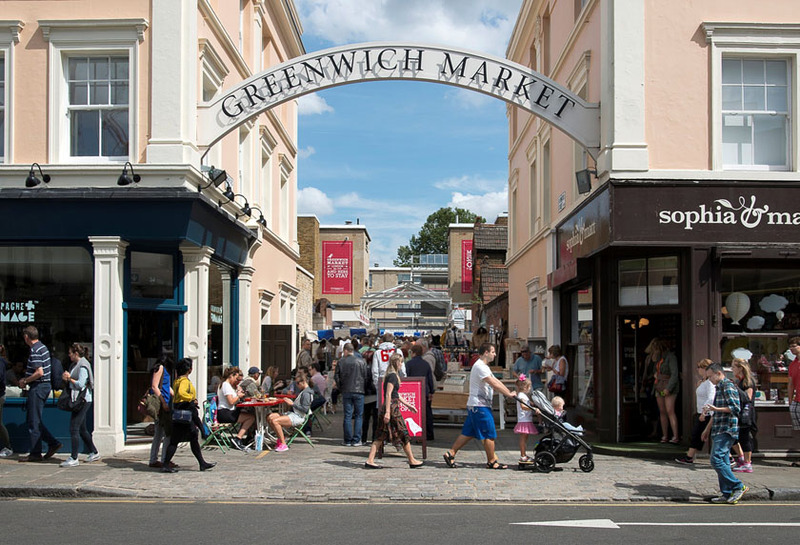 Since then until 1980s, the Greenwich market went through a period of gradual decline. 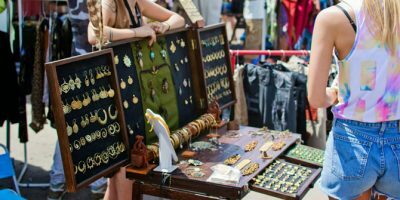 The market’s rebirth came in the second half of 1980s and this happened because of the craft business, which is the main feature of Greenwich Market today. Nowadays Greenwich Market is a unique mix of tourists and locals, traditional and modern but it certainly has a unique vibe about it, as the any market trader will tell you. This may be due to the market’s management, as they prioritize the traders who design and make the products themselves. There are also many part-time traders that only occasionally show up on the market, so if you find a product that you really like, make sure to purchase it immediately, as it probably won’t be there again next week. The management also does a great job of regularly mixing things up, so the offer never is monotonous but strives to be fresh and exciting. Therefore, there is a sales schedule for each day of the week. While market shops and pubs are open all week, stalls are open from Wednesday to Sunday from 10am – 5:30pm. On each day you will find some food-to-go, but on Wednesday for example it is complemented with crafts and fresh produce, while on Thursdays and Fridays there are collectables, antiques. Saturdays & Sundays are reserved fir arts & crafts along with some additional curiosities. 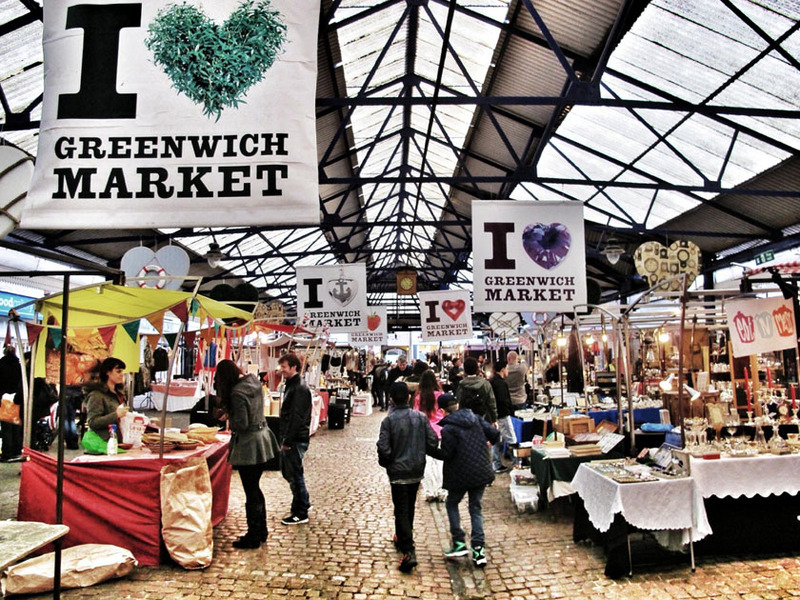 Visiting Greenwich Market is a lovely and pleasant experience for everyone, family people and adventurous alike. Just make sure that you avoid weekends if you are visiting with children, since it is much quieter on the weekdays. You can easily get to Greenwich by bus or train, or you can even take a boat down the Thames river. For the best experience we suggest the boat ride, if the weather allows, to get there, and you can take bus or train back to your accommodation. This way you will get to travel to the Greenwich Market the same way royalty had traveled to Greenwich for centuries, and enjoy some of the best attractions London has to offer – The Tower of London, Shakespeare’s Globe and many more. Additionally, when you get off the boat you will be in a perfect position to start your exploration of Greenwich.